Every green thumb will find a home on this property. 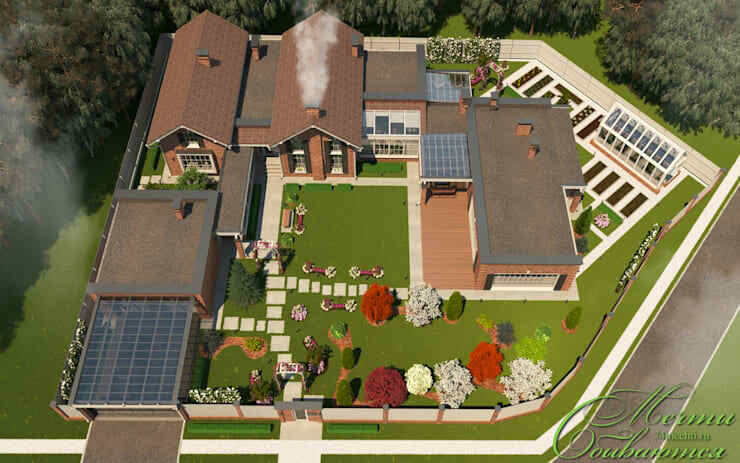 Designed by architects Latvian Dreams Come True, the home has huge garden spaces, an outdoor entertaining space, a green house, and room for some truly refined landscaping. 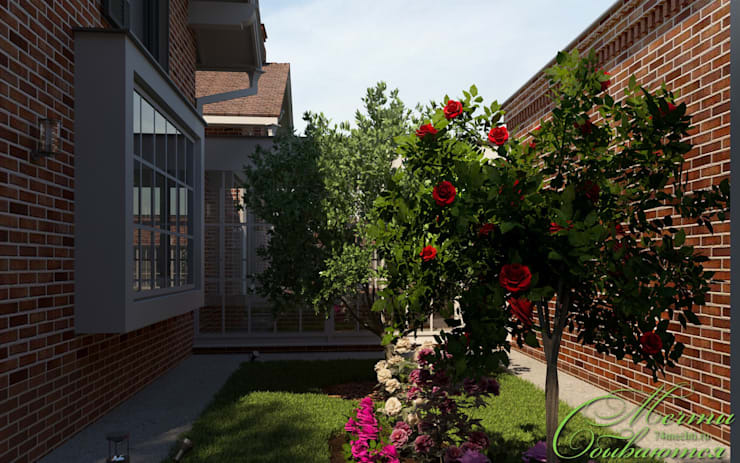 The gated entryway allows for privacy, and for your children and/or pets to run freely in the lovely green space. There's more to discover in this truly unique home, so let's start the tour. Is there a better combination than green gardens and textured, three-toned brick homes? 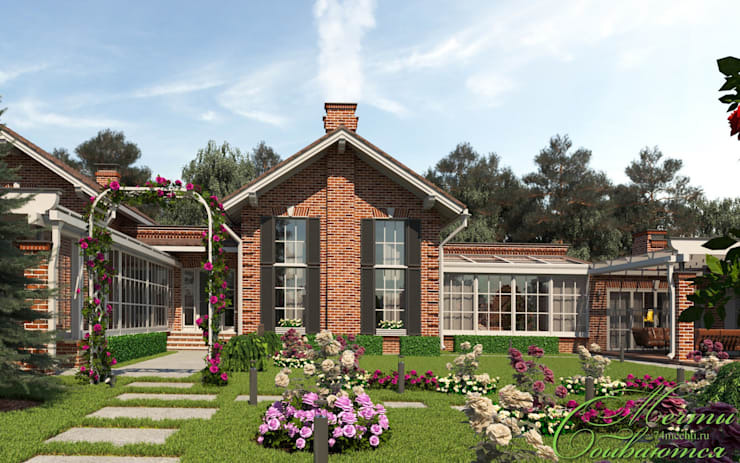 There's something comforting and beautiful about the traditional look, with the chimney especially. It's the details that make this home stand out, like the black window shutters, and the bench just near the front door steps. 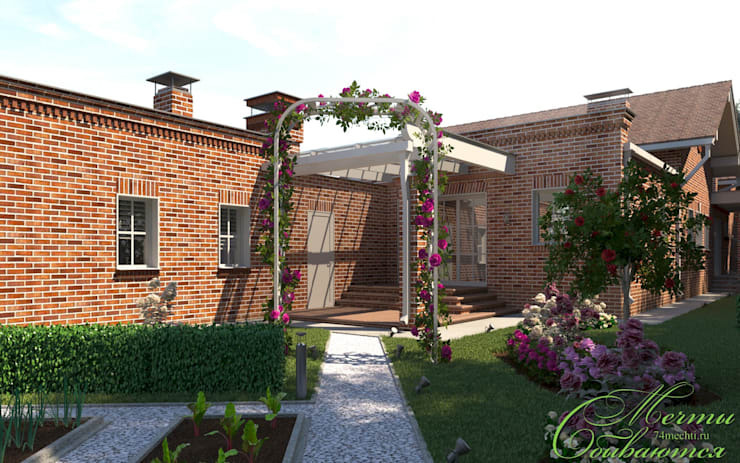 Leading out to the gardens, this side entryway has a splash of modern style with a white awning. The rose decor is all traditional though. This aerial view reveals the grounds in their full glory. 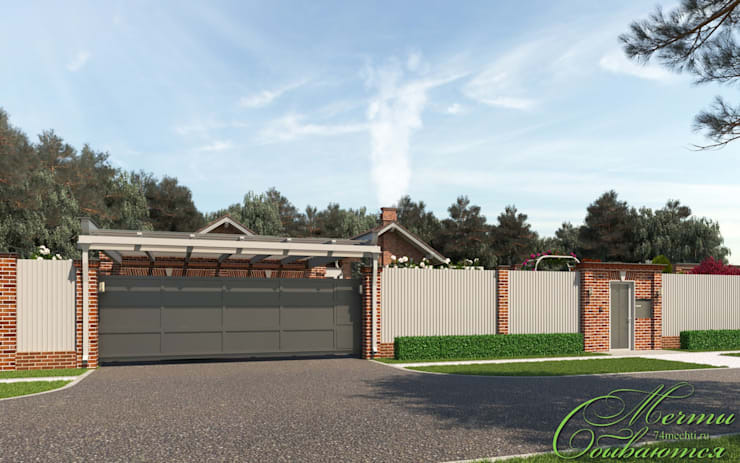 The whole home is fenced in, with the garage connecting to the driveway for easy access. There are three distinct wings of the home, connected by awnings an hallways. Out back there even more gardens. Here's the protective gated entryway. 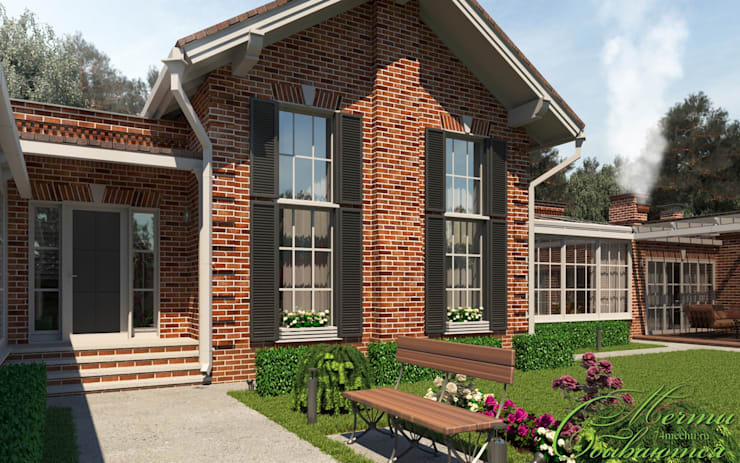 It combines the white picket look with high-tech doorways in a modern grey. 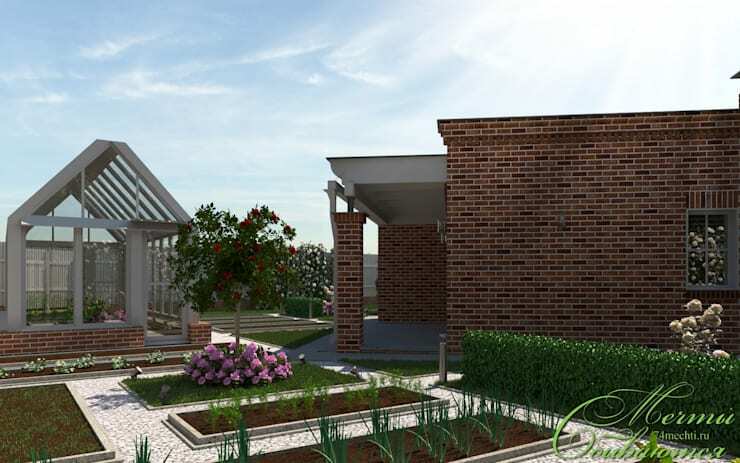 Back in the grounds, we can see that the lovely landscaping can be found inbetween different sections of the home. Some of the walls are made entirely of large glass panelling, which adds some modern style and lots of light. 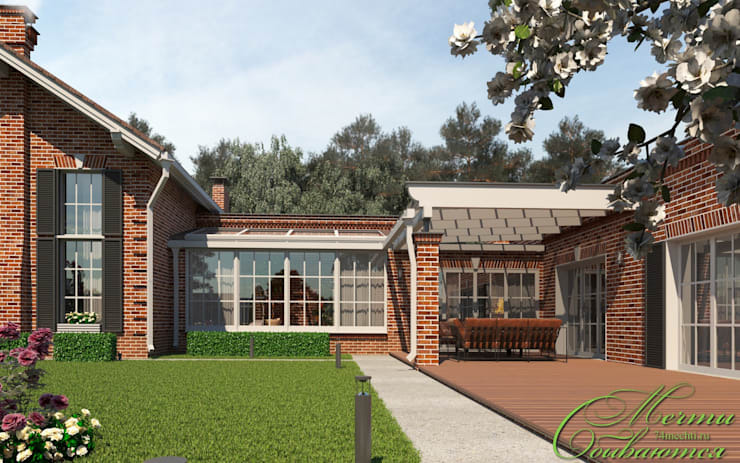 At the rear of the home you can find the huge greenhouse, which matches all of that glass panelling, along with several large garden beds. What you plant there is up to you! On the right you can see the patio space, with a convenient awning overhead, and brick pillars to support the awning and define the space. There is plenty of room out here for large parties. Feeling inspired to get outdoors? Why not try one of our 14 beautiful and affordable garden ideas?